It’s all about that perfect moment – when the world melts away and you’re caught in the raw emotion of your music. If you’re obsessed with those perfect moments, if you thrive on creativity, rhythm and soul – this is where it begins. Hollywood. Music is in our blood and you are the heartbeat. Designed for those who want to produce their own songs, scores and soundtracks, our 18-month Associate of Science in Music Production program expands your passion for music and turns it into the actual production of music using the latest in digital music technology. Our hands-on curriculum presents comprehensive courses which focus on music theory, composition, digital music production and music recording as well as mixing and mastering for various media. We also offer courses with a focus on music marketing and business concepts. 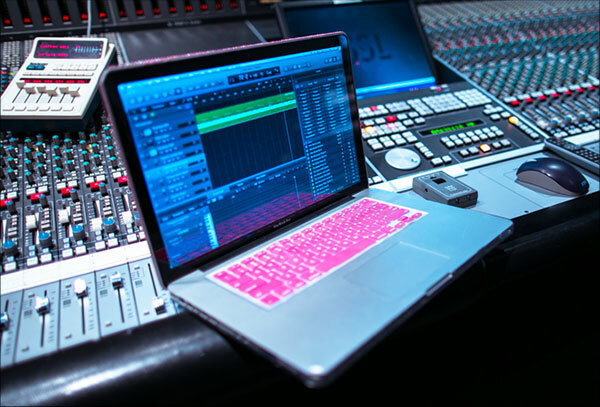 You’ll receive training in: Music Composition, Mixing Concepts and Techniques, Producing Music for Media and more! Our analog and digital studio labs are your music playground. Here, you’ll log real time on industry-standard consoles, working with the same gear that the pros use. In Hollywood, music and entertainment is in our blood. Here you’ll be neighbors with the most iconic and influential studios and recording labels on earth. Oh, and let’s not forget all that sunshine.